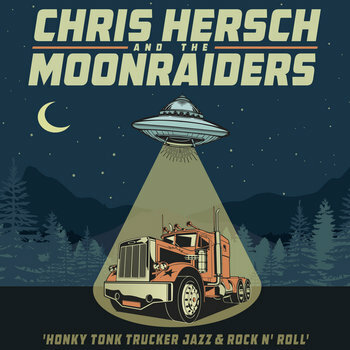 The MoonRaiders are a Western Swing band that combine elements of Jazz, Rock n' Roll, Country, and Truck Driving music. Award winning guitarist Chris Hersch (www.chrishersch.com) leads this quintet of accomplished musicians, improvising and singing their way through an eclectic set that will please both the dancer and music aficionado. Drawing on a unique repertoire often overlooked in the American Songbook, The MoonRaiders pivot between Bob Wills, Chuck Berry, Dave Dudley, Commander Cody, and original music, all in one show. Award winning guitarist Chris Hersch (formerly of Girls Guns & Glory) leads this quartet of accomplished musicians, improvising and singing their way through an eclectic set that will please both the dancer and music aficionado. This band's style is Honky Tonk Trucker Jazz and Rock n' Roll!!! !